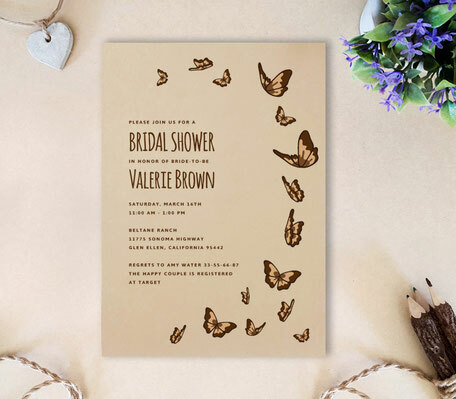 Your bridal shower is just around the corner! 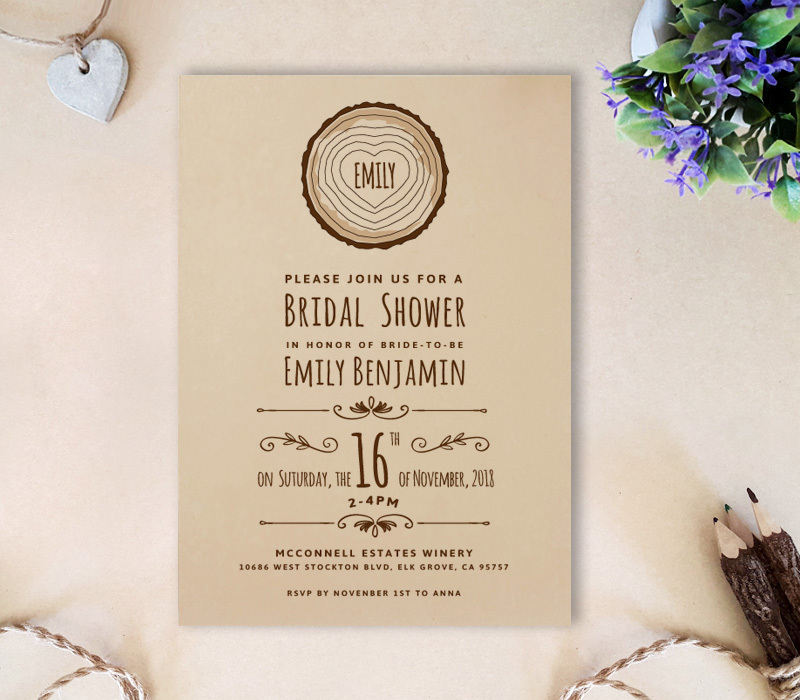 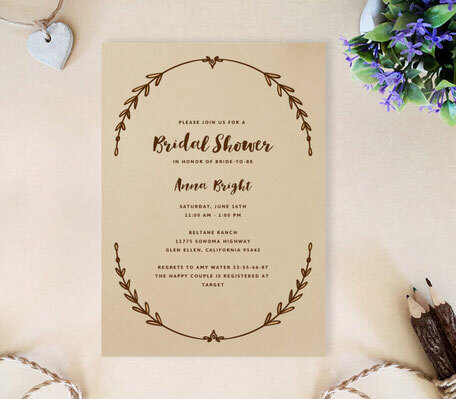 Let your guests know everything about it with our Rustic Bridal Shower Invitations. 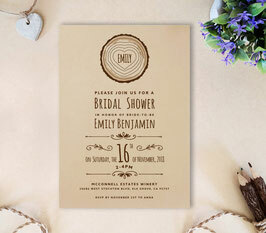 This nature inspired invitation is decorated with a tree stump and features woodsy font that will share all your bridal shower details. 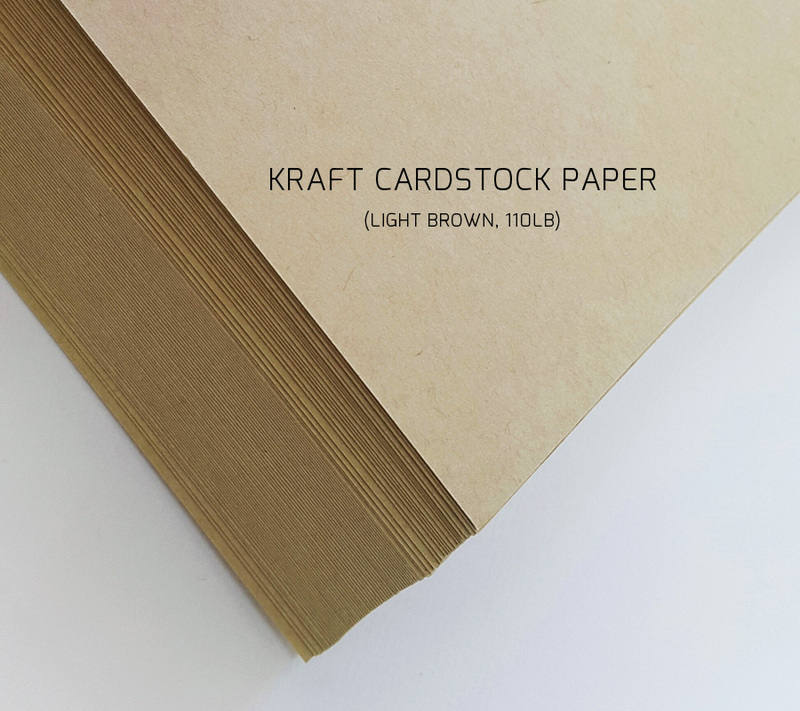 The cards from this set are printed onto kraft card stock for a true country finish.